The INE-W970BT combines the best of Alpine′s new technologies for outstanding operation, guidance and safety. The new 50/50 split screen, huge map coverage, wide media compatibility, customisable user interface and excellent sound quality and extensive sound tuning features make this a must-have model. The INE-W970BT presents an entirely new level of user-friendly operation by giving you the choice of viewing two sources at the same time. You don’t have to go back and forth between two screens, selecting different menus. All the information you want is right in front of you. Simple touch screen icons and customisable functions add to the convenience. No matter what media you want to enjoy, the INE-W970BT is ready. It provides music and video playback from your iPhone/iPod, USB sticks and a DVD player (DVD-Video / CD / DivX / MP3 / WMA / AAC). Videos look great on the 6.1” WVGA display with Visual EQ mode selection. You can also stream music via the built-in Bluetooth module. Sound customising functions include MediaXpander, 6-Channel Time Correction, Preset Equaliser (10 modes) and 9-band EQ. 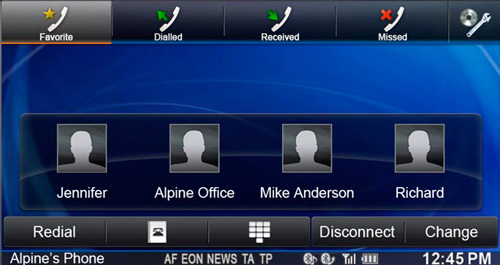 Alpine makes it easy to integrate the INE-W920R with the factory system in your car. We have interfaces that let you operate functions via the steering wheel remote control and use a sub-display to view information from the head unit on the gauges. It’s all part of the One Look Navi concept aimed at letting you keep your eyes on the road. With the new iGO Primo 2 software, using a navigation system has never been so easy and convenient, thanks to its wide range of very helpful functions. 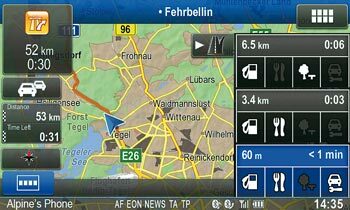 The INE-W970BT gives you wide map coverage of almost all European countries, support for maps with 3D landmarks, highway mode, advanced address input and other sophisticated features. And of course, the 50/50 split screen function lets you view and control a navigation screen and another screen such as music with just One Look. In addition to keeping you informed and entertained, Alpine wants to improve your safety. 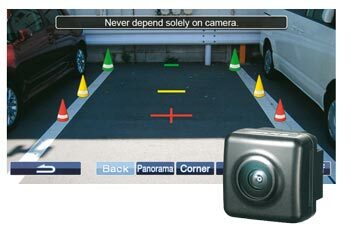 The One Look Safety features include Advanced Bluetooth capabilities, rear view camera support and are designed for safer driving and to protect your system. The INE-W970BT features an anti-theft security code that needs to be input after the battery has been disconnected. This makes the unit useless to any thief. You can pair a total of 3 phones with the INE-W970BT. You can even stream music from one phone while making handsfree calls with another at the same time. 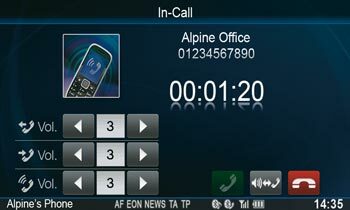 Set your 4 most frequent called numbers for easy One Look access in the speed dial screen.